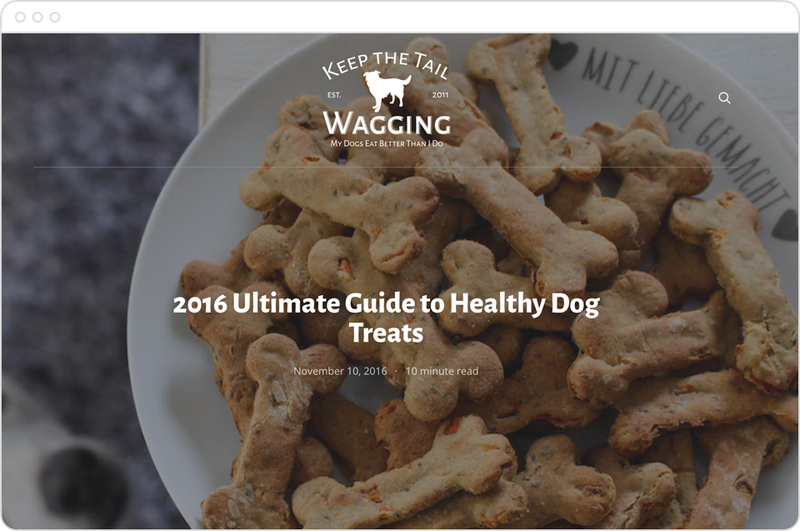 We first met Kimberly Gauthier, the founder of Keep the Tail Wagging, last October at WordCamp Seattle. 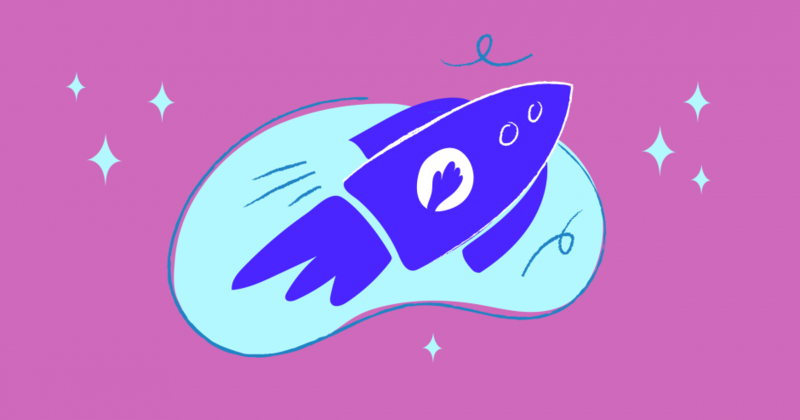 We were still in beta, but after seeing Kimberly’s blog and listening to her talk about the challenges she was facing, we were too excited about helping her to wait. So, we partnered with Kimberly to redesign a couple of her posts using the Setka Editor plugin and Style Manager. 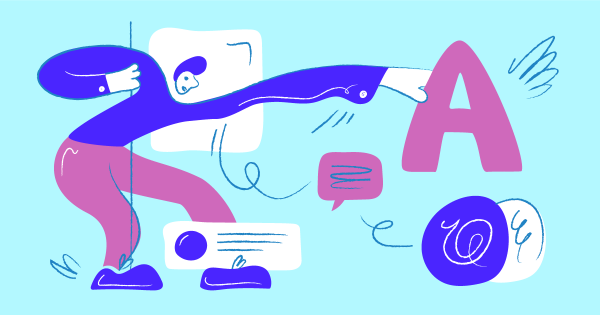 Our Art Director, Sergey Rodionov weighed in on colors, fonts, and the best way to visualize Kimberly’s content. 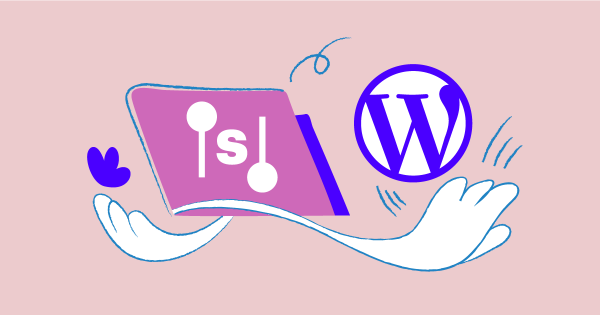 Check out the results of the Blog Makeover along with some useful tips for setting up your own visually stunning article pages. 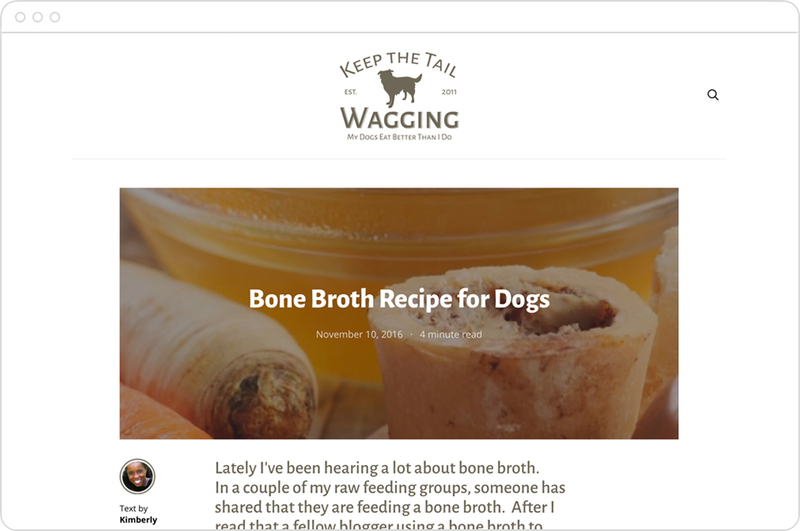 Keep the Tail Wagging® is a blog about raw feeding and dog nutrition from the perspective of a dog mom raising four pups. 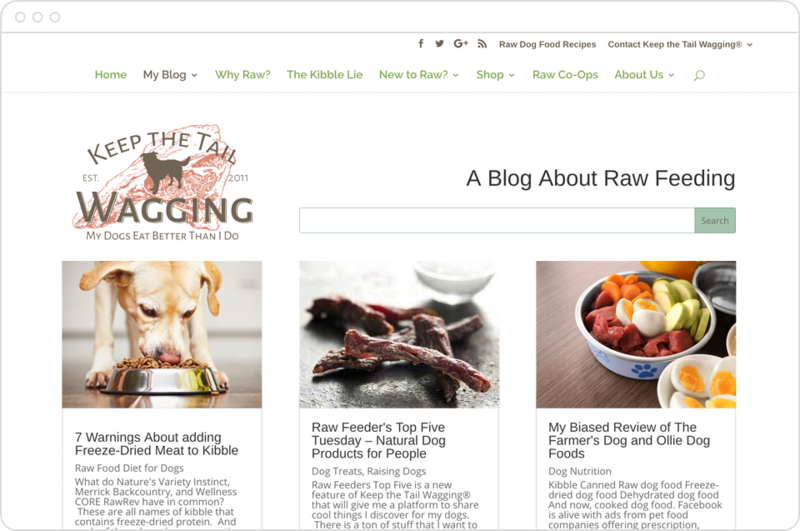 It’s written for people who want to learn more about raw feeding and raising their pets naturally. Kimberly told us that, while she spends a lot of time designing her blog, it’s hard to get the look she really wants. 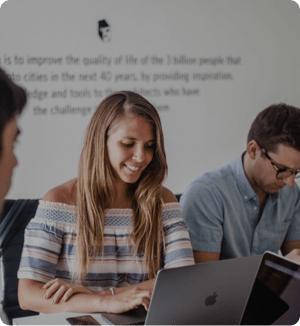 She uses a premium theme by Elegant Themes called Divi, and was constantly trying to change it based on new insights about blogging and content marketing. 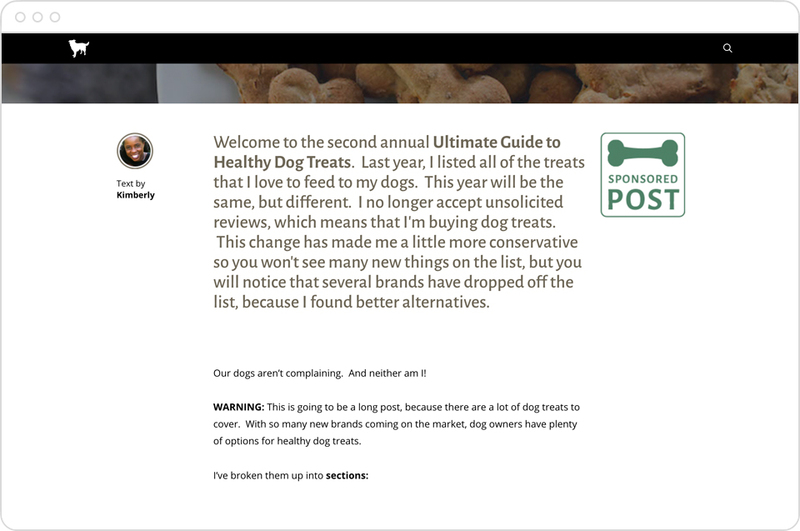 What Kimberly really wanted was for her layout to look as nice as a magazine, but embedding icons and other elements besides basic images and videos was very time-consuming. This was especially true for sponsored posts, where she wanted to create really splashy layouts to help the content stand out. We decided to tackle two different posts for the redesign: a recipe article and a sponsored guide. “The goal was to make improvements and suggestions that I could recreate on my own for future posts using the Setka Editor,” Kimberly says. We started by looking through the entire blog to understand what layouts Kimberly currently used and what recurring elements, colors, and logos existed. 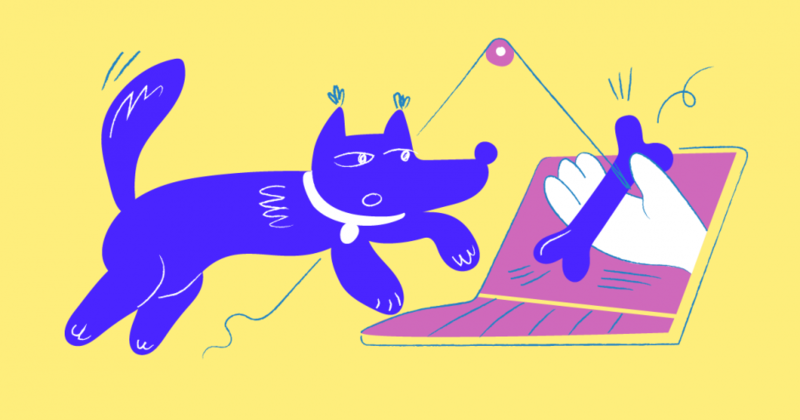 Our Art Director also looked through other blogs and media about dogs, and even explored the visuals on Pinterest (for example, using hashtags #dogs #feeding). All of this gave us inspiration and images we could refer to while making our designs. 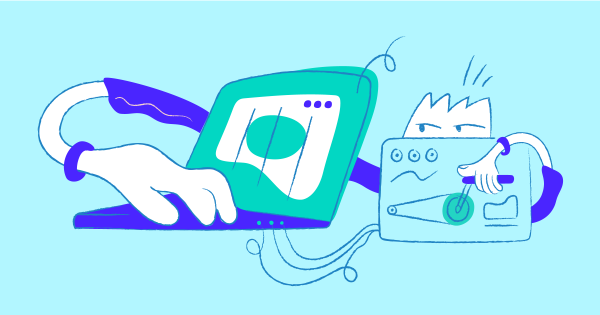 Then, Sergey dug into the redesign: we needed new colors, typefaces, icons, illustrations, dividers, and designs for pull out content. 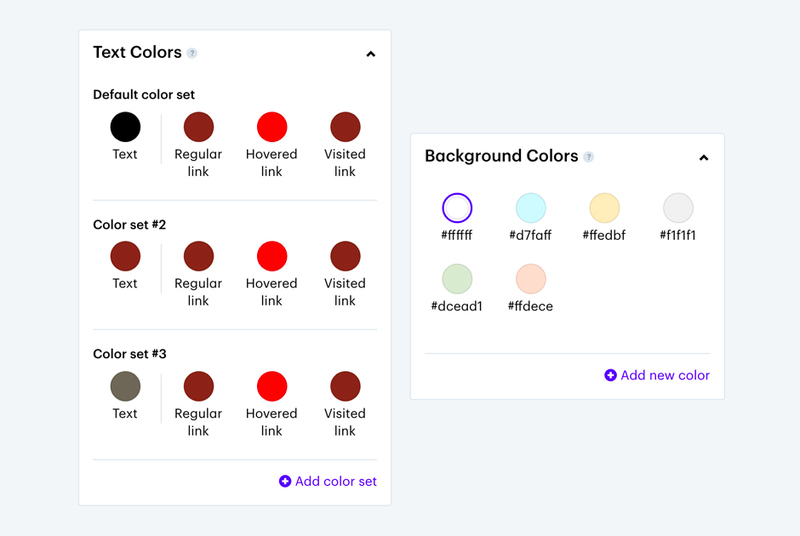 Using the Setka Style Manager, we could incorporate all of these to create a unique post style. Colors. “At first, I used dark red because I thought that it would make the readers think of meat,” Sergey says. However, when we started creating layouts he found it didn’t look good with the blog’s logo, so he changed the main color to a softer reddish brown. 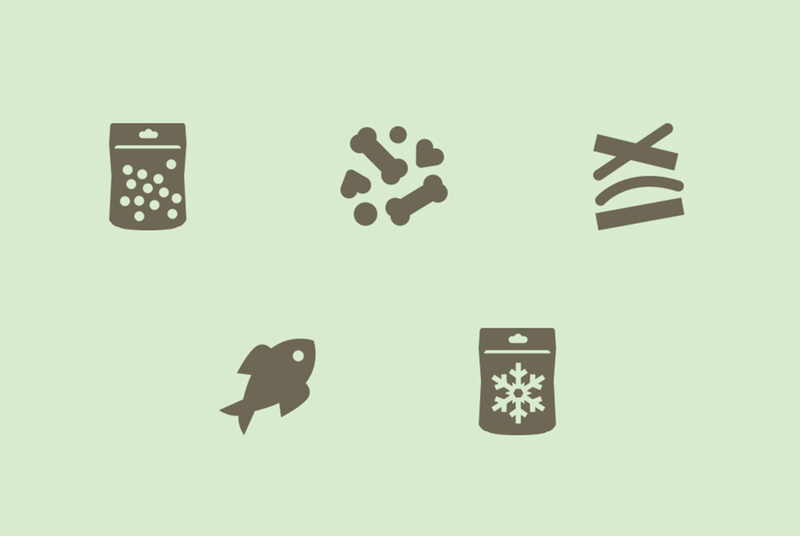 Sergey created some simple icons representing different types of dog food that Kimberly would be able to use in future posts to help break up the text with more visuals. 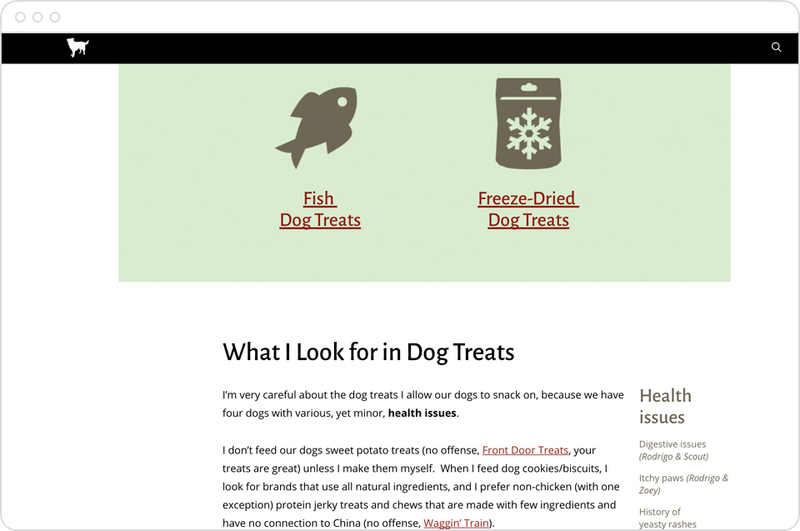 For “2016 Ultimate Guide to Healthy Dog Treats,” we changed the photos to make sure they were all uniform in size and style. We also redesigned the sponsored branding to help it stand out more in the post. 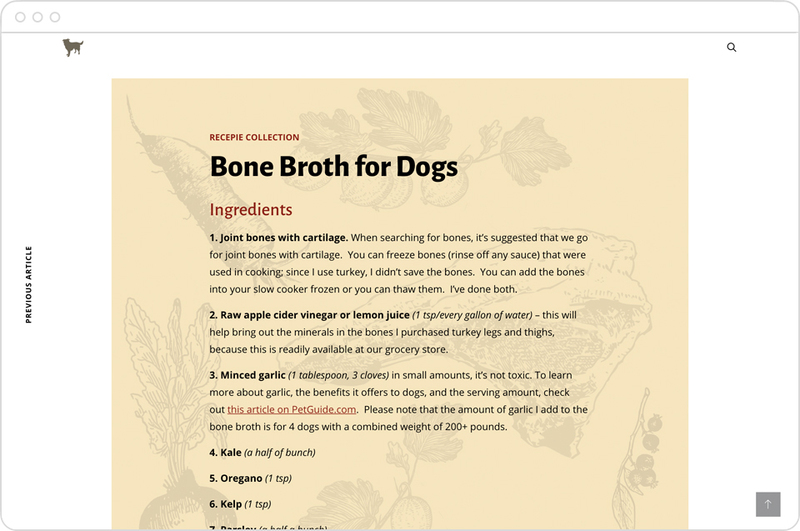 For “Bone Broth Recipe for Dogs,” we created a new background for the recipe section to help set it apart within the post. We also designed different snippets that Kimberly can use on a regular basis, like a new byline at the top of the post with her photo and name, and a more engaging footer with some of the blog’s disclaimers. We were a little nervous to show Kimberly the final product since we know she’s very detail-oriented and passionate about her blog, but she was beyond thrilled with the results. If you are interested in partnering with Setka, check out what we do or contact us for more information.